Baking for bibic is an easy and fun way to help transform the lives of children and young people struggling with disabilities and developmental difficulties. Support them and their families by holding your own big bibic bake off. 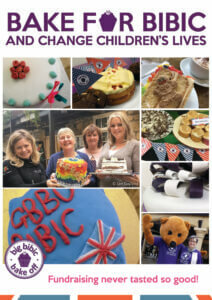 Request your FREE big bibic bake off fundraising pack. It’s full of games, bunting, flags and more to get your bake off cooking! 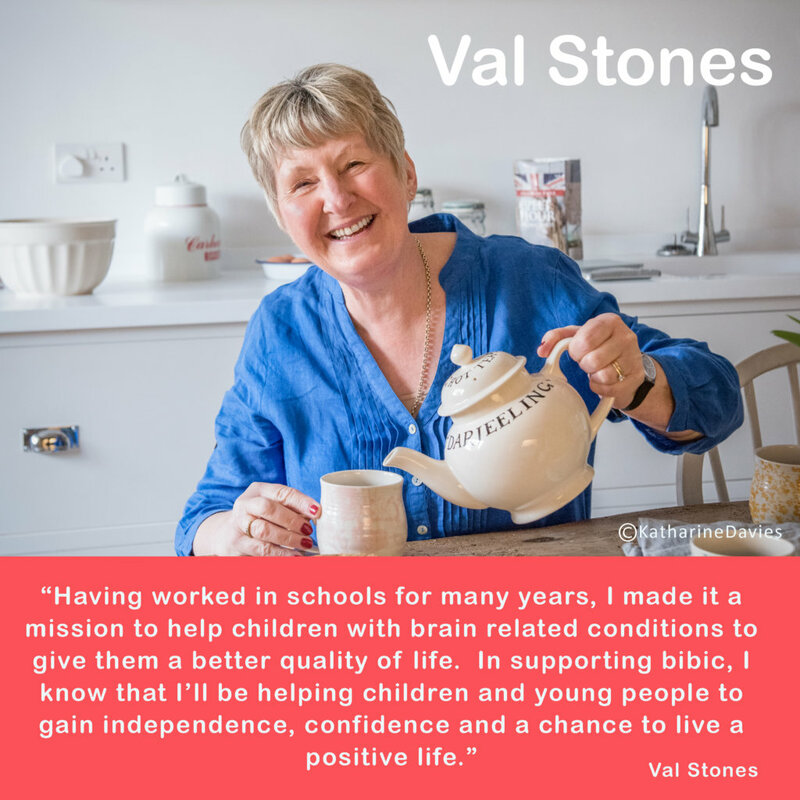 We’re thrilled to have the continued support of Great British Bake Off Series 7 contestant Val Stones. Val spent a lot of her life teaching often around children with disabilities. She completely empathises with bibic’s mission to help children and young people achieve their potential. Inside your FREE pack, you’ll find a recipe for Val’s delicious and nutritious Virtuous Cake recipe, a lovely bake for those who are dairy-free and vegan and no refined sugar or fat, and egg free too! You’ll also find some bake off invitations, posters and bunting in your FREE pack. Also, some handy tips on making the most out of your get together. not to mention some fun games to help your dough rise even more. 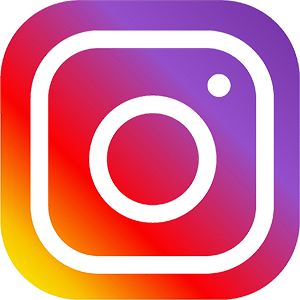 Once you’re off, get creative with your baking and decorating and then share your photos online; tag in bibic and using #bibicshowstopper. Your mixing and baking will raise vital funds to help children with disabilities who struggle to cope with the world. Thank you!